13 1/2” X 18 3/8” serigraph print--historic design & colors*. 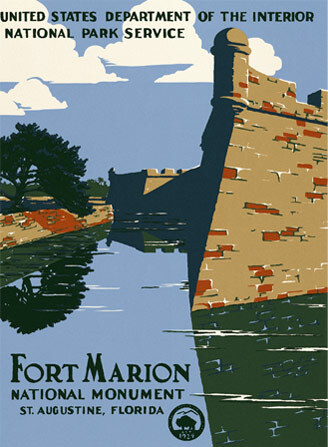 The Fort Marion print was only one of two eastern parks to subscribe to the Federal Poster Project (the other was Great Smoky Mountains). 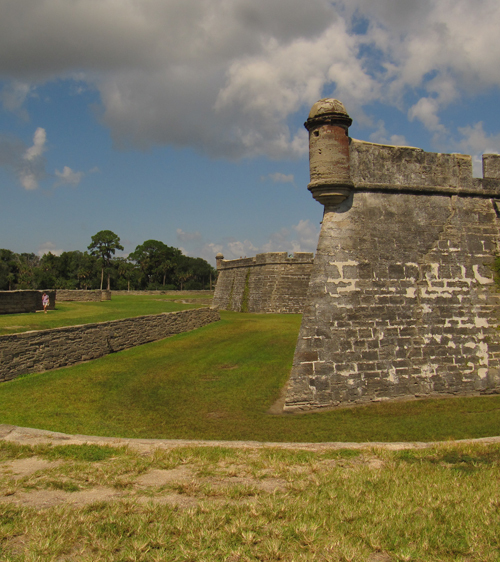 This is the oldest masonry building in the USA--one of many forts built to protect both Spanish, British then later American territory. It also served the Confederacy and later held Apache prisoners--an interesting place to visit! I originally guessed at these colors and hit all but one dead on--I'm keeping the RDE orange* coquina bricks as I think it adds a little more interest to this great design. Here is a contemporary photograph.